Herb is a journeyman machinist. He has been involved in many aspects of the rotational molding industry for 42 years. He was employed by three main mold makers in the industry, Wheeler Boyce, Johndel Inc. and currently has been at Rotocast for 13 years in the General Managers position. Herb has spent time in spider design, mold maintenance and mold revisions and is fortunate to be able to say he still enjoys his job.  Bruce attended the University of Akron, and has been at Rotocast Technologies for the past 23 years. Prior to that Bruce worked in the manufacturing sector as a buyer for 21 years, his main function was purchasing for stock room components with a several million dollar budget. Bruce uses his experience and knowledge to purchase all raw materials for our many diverse projects. Mark Bradley has been involved in mold design and manufacturing for 30 years, with the past 15 years in the rotational molding industry specifically, for 10 years he was a small business owner suppling CAD/CAM services and software solutions to manufacturing companies. Mark has also previously worked as a tool & die engineer and for several years was a CAD/CAM software instructor. Ken is a Sales Engineer. He is responsible for all aspects of the quoting, sales, design and manufacturing of molds for the rotational molding industry. Ken has over twenty-five years of experience in engineering and sales related to the rotational molding industry and over thirty-five years total in manufacturing.